Benchmade has been absolutely killing it lately with its new knives. The iconic butterfly brand seemed to have dipped a bit a few years back before coming back with a vengeance. First, with the updated Griptilians, then with its first slipjoint ever, then with a ultralight Bugout. The string of successes seems to be continuing with the company’s first puukko. The Benchmade 200 Puukko was introduced at the Summer Outdoor Retailer Show, and people across the knife community are salivating. The knife is a typical puukko design. The puukko is a Finnish blade styling with a pretty simple design. It has a sub-4-inch blade that’s great for carving, hunting, and other outdoor tasks. The handle is usually unadorned but comfortable in the hand. To say Benchmade succeeded is an understatement. Benchmade’s Puukko features a blade with a sabre grind made from 3V, which I believe is the first time Benchmade’s used the steel. 3V is extremely tough and great for outdoor use. It’s not the most resistant to corrosion and doesn’t keep an edge as well as others like S30V but it does quite well. The handle is no-nonsense rubberized Santoprene. It is durable and comfortable in the handle. Without any guards or even the classic dovetail of some traditional puukko, the grippiness seems like it will be really reliable. Other than that, the knife comes with a leather sheath that “was created with versatility in mind,” according to Benchmade. If you’re prepared to take out a second mortgage or are already encouraging little Billy to attend community college, you don’t have to. This knife is surprisingly affordable at $145 MSRP. 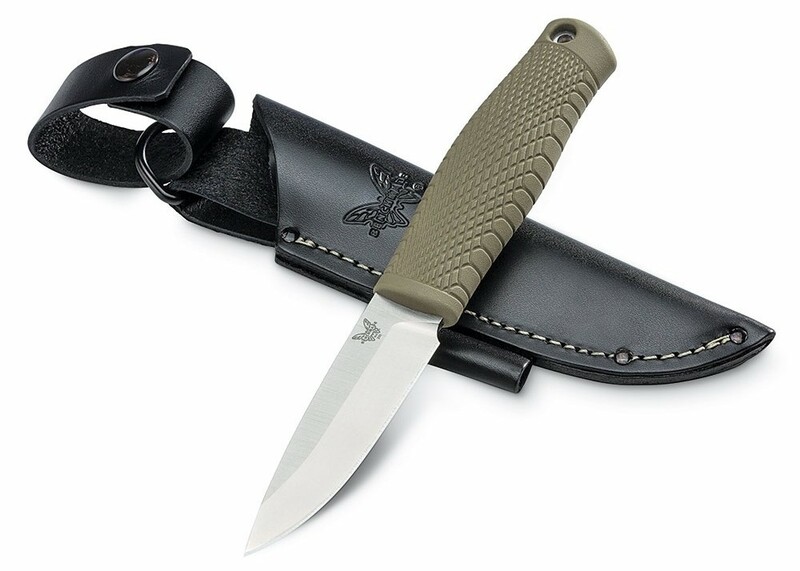 Considering the materials and the fact that it’s a Benchmade, the price is fairly reasonable. The street price with MAP will likely be around $123.25. Tim Stetzer of The Truth About Knives even has an early look at the Puukko with more specs if you’re interested.